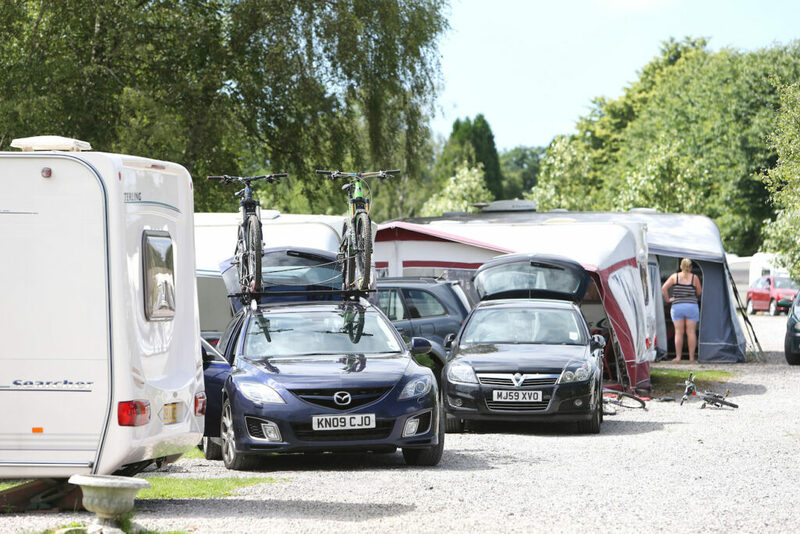 Our seasonal pitches are ideal for those who want to come and enjoy Hall More regularly throughout the season and use our park as a base whilst you explore the region without the hassle of having to tow every time you visit costing you extra money in fuel. Simply select your perfect pitch and enjoy a relaxing break away, whenever you feel like it. You can stay for either and 8 month or 10 month season – the choice is yours. Use of the facilities on offer at Fell End is FREE but this excludes access to our swimming pool and gym. We can offer a seasonal leisure pass at Fell End to Hall More seasonal touring owners at a significantly reduced rate of £350 per season for a family of four. 4 nominated passes will be issued with photo ID required at the beginning of the season. Alternatively, if you fancy enjoying a shorter break away at Hall More and want to just stay for a month without committing for the whole season, we will be more than happy to have you stay with us. Simply use the per night pitch prices rather than the prices stated for seasonal touring – our touring prices start from just £17 per night! All guests have access to the park leisure activities, including the £3.5m leisure complex at Fell End Holiday Park, just a 5 minute walk away. Please be advised charges do apply. Pets are welcome at Hall More Holiday Park, we request owners adhere to the park rules and are considerate to others at all times. *for existing seasonal tourers only. For more information on Seasonal Touring or to book your pitch please call us on 01524 917311.